As you may know, my time volunteering and then working with S.O.U.L. Uganda for over two years has had a very profound impact on my life. The faces and places of Uganda visit my mind daily and I am so often reminded of the beauty and rawness of the village. The people are humble and open to sharing their stories. Mama Ali’s story (shared by Laura – fellow Project Manger) is one of hardship but also of great strength and deep love for her children. I lived with her for 7 months and she became a mother to me. Mama Ali with little ones, Rahmah and Musa. In my experience, despite an endless array of external circumstances, as humans at our core, we want very similar things for our lives. We yearn to live a dignified life through purpose and connection. In order to live a dignified life we must have our basic needs met. 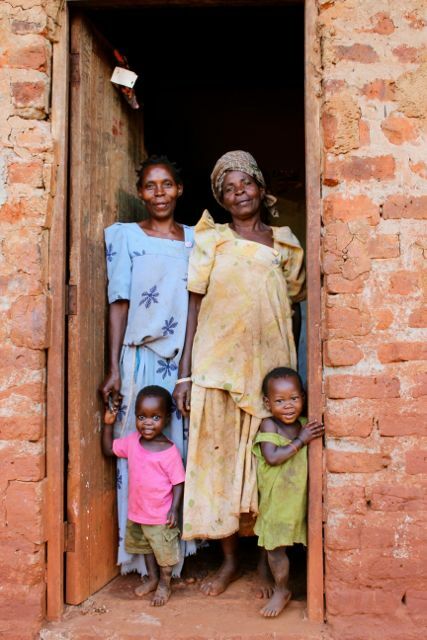 For many living in rural Uganda having access to food, clean water, and education is a daily struggle with most families living on just $1 a day. S.O.U.L. is beginning to expand once again and we need your help!!!! Please consider donating today to be part of this new campaign that will enable S.O.U.L. 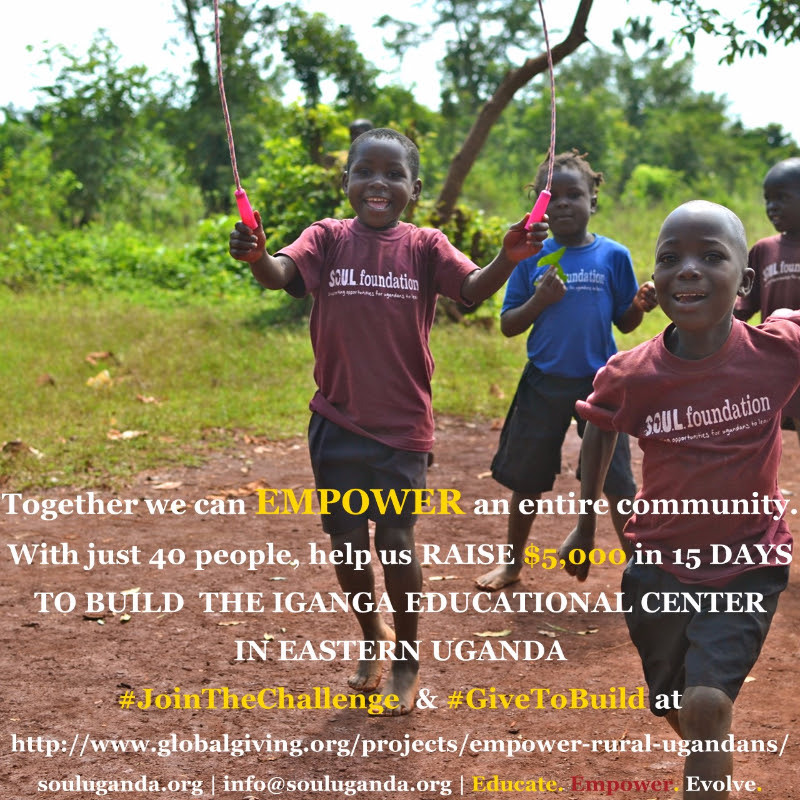 to build an Educational Center in Iganga District! Forgo the latte and give as little as $5! In the rural Iganga District of Eastern Uganda, communities are living with a poverty rate that is twice the national average. 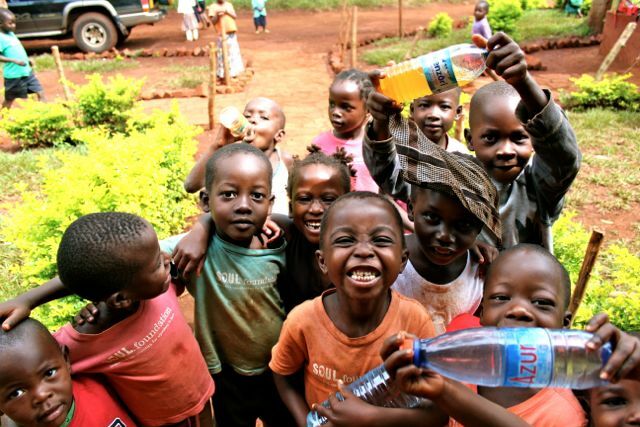 Roughly 40% lack access to clean and safe water and people rely heavily on subsistence farming and simple brick making. S.O.U.L.’s current project in Iganga recognizes the need for educational and economic opportunities that will empower an entire community. Global Giving is providing us with a unique fundraising challenge for our upcoming building project in the Iganga District. They’ve challenged us to raise $5,000 from September 1st to September 15th from at least 40 different donors. And on September 9, Global Giving will match any donation made that day at 20%! Additionally, if we meet this 15 day challenge, we can continue to raise funds through the Global Giving platform for this crucial building project. The Iganga Educational Center will be built in the Namiyangu Village and be used to expand our student sponsorship, mentorship, computer programs, women’s cooperatives, and the Maternal Health Network. The community has already donated the land for the Iganga Educational Center and has committed its human resources for construction and security! Together, we can provide a space for instrumental educational programming! Please donate or help us spread the word through Facebook, LinkedIn, Twitter, and Instagram! Every little bit helps!!! We cannot do it alone, #JoinTheChallenge and #GivetoBuild today!